The Invest Local Book Blog. 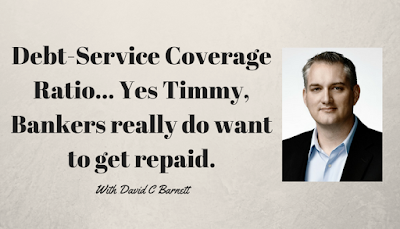 : What is debt-service coverage ratio and why does the banker care? Basically, bankers are concerned that there is enough cash left after expenses to make their loan payments... plus a little extra for unforeseen expenses. Pretty good idea, eh? So how can an owner ask so much for a business that there isn’t even enough cash to make the loan payments? I’ve seen it happen over and over and over and over and over again. Watch and see how this happens and why you need to understand how to spot these bad deals before they waste a bunch of your time and your bankers. Educate yourself about buying a business before you waste a bunch of your time and money on crappy deals. 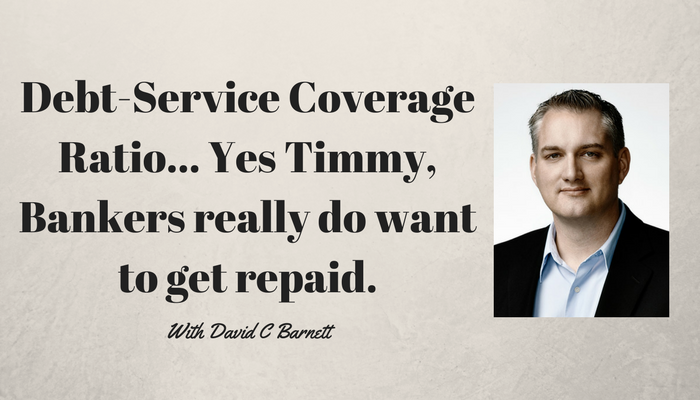 Learn more about my online course at www.BusinessBuyerAdvantage.com. Look to the left... sign up for my e-mail list. Easy unsubscribe at any time as I use MailChimp and I’m not interested in harassing people for who don’t want to hear from me.